Founded by a down-to-earth guy with an uncanny skill for designing, building, and repairing fluid power systems, NorWest has quietly grown for five decades into one of the most comprehensive hydraulics and pneumatics companies on the West Coast. We’ve established a strong reputation in the oil refinery business, creating and servicing hydraulic systems that automate the coking process. But our clients run the gamut: mining operations, marine applications, logging and sawmills, agriculture, trucking, food processing, and manufacturing. Hydraulic parts & supply store - stocked with quality components and an extensive supply chain. Exclusive access in our region to RYCO fittings and hoses for retail & wholesale distribution. Service department to provide reliable diagnostics, service, and repairs. Mobile service fleet with maintenance and emergency capabilities. Complete line of industrial filtration equipment and filter elements. 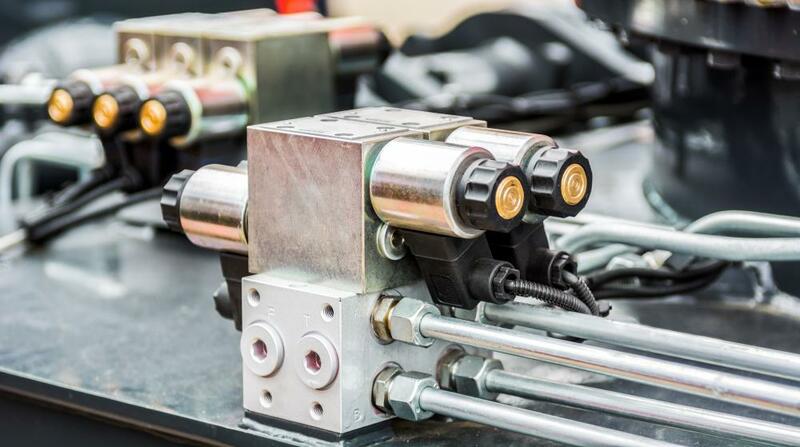 Hydraulic & Pneumatic system engineering, design, fabrication, and installation. Refinery Division specializing in Coker Automation, Consulting Services, and System Upgrades. A team of "lifers" with unrivaled expertise in all things hydraulic and pneumatic. Ian has been working in fluid power for over 30 years. His trademark attention to detail was forged during his naval career in which he served in the weapons department, maintaining missile launch systems on submarines. Ian joined NorWest in 1987 for a contracted project and they didn’t let him leave. He likes unique projects that integrate new technology almost as much as he enjoys fishing in the Great Northwest. Expertise: Oversees refinery projects, integrating automated control systems that increase job site and operator safety & reliability. Chris oversees our parts and supply division. He’s in charge of wholesale distribution, our brick-and-mortar hydraulic parts and supply store, and supplying parts for our large-scale projects. He has been in the fluid-power industry for over 20 years, spending the majority of his time in the fluid component sector. Chris has always been a hands-on person who enjoyed working around heavy equipment and industrial environments. These qualities made him an instant fit when he joined NorWest. As a Washington state native and WWU alum, Chris takes every opportunity he can to get outside and enjoy hiking, camping, and fishing. Expertise: Knowledge of product and application. He is a problem solver with excellent understanding of system challenges. Tim manages our repair center, oversees system retrofits, and quarterbacks our mobile service fleet. Tim grew up working on a dairy farm fixing heavy equipment and machinery. One day he went into NorWest for a cylinder repair, watched the owner repair it, and ended up being hired on the spot. His intuitive way with all things mechanical and vast experience has made him a customer favorite in his 24+ years with NorWest. Tim’s passions for family, carpentry, and the outdoors keep him occupied when he’s not working. Expertise: Tim knew he had a knack for hydraulic systems and system retrofits. But he had no idea that one day his talents and experience would be sought after by oil refineries across the United States.